So last week I posted my recent E.l.f. haul, but since then, I purchased two new foundations, both very different, but highly recommended for my skin issues. After a week or two of using each, I can say that I love one, and truly despise the other like I’ve never despised a foundation before. I have trouble with foundations sinking and creasing into the fine lines on my forehead and around my mouth. I have tried countless combinations of primers, foundations, and powders, both affordable and high end, and while some crease less than others, I have never avoided this issue completely. Someone recently recommended that I try a serum foundation, as this was a lightweight formula that would be less likely to move around on my face. Less product means less ability to sink into fine lines? That made sense to me. So I picked up the E.l.f. Beautifully Bare Foundation Serum in the shade Fair/Light (one of only three shades available) and tried it on as soon as I got home from Target. I was immediately struck by how dry my skin felt after applying it–sort of like when you use a cleanser that strips your skin and leaves that it feeling tight. It had a light coverage, and I built it up to a light/medium coverage with two coats of foundation. It did build nicely, but it was not hydrating in the least, and more foundation made my skin look very flat. Maybe I don’t know how serums work, but I sort of assumed they were supposed to be at least a little hydrating. I have normal to dry skin, and that tight feeling did not wear off as I wore it throughout the day. It actually got worse–I was continually reminded that I was wearing foundation by how dry my skin felt. As you can see, this is a very liquidy formula that sheers out to almost nothing. It also has a yellow cast to it that doesn’t really work even on my warm skin. It also broke down like I’ve never seen before. Only four or so hours later, I could see the foundation in my pores, but it had worn off on the surrounding skin, especially around my nose and mouth. It clung to dry patches, but was otherwise basically gone by the end of the day. Keep in mind, I had put it on around 2 pm, so it wasn’t like I wore it through a whole work day. It also has a slightly white cast from the SPF, so as it wore off my skin looked patchy and ill.
And the kicker? It still sunk into my fine lines. Not as much as other, thicker foundations, but it sunk in as much as it could for how sheer the product is. I have tried it out several more times, in several different ways. I tried applying a thicker moisturizer underneath. Same results. I tried my favorite trick of mixing it with a drop or two of facial oil before applying it. Same results. In short, this foundation is the worst I’ve ever tried. I had to remind myself not to throw it away before taking photos of it for this post. It’s that bad. I’m not even going to say that it might work for other skin types. 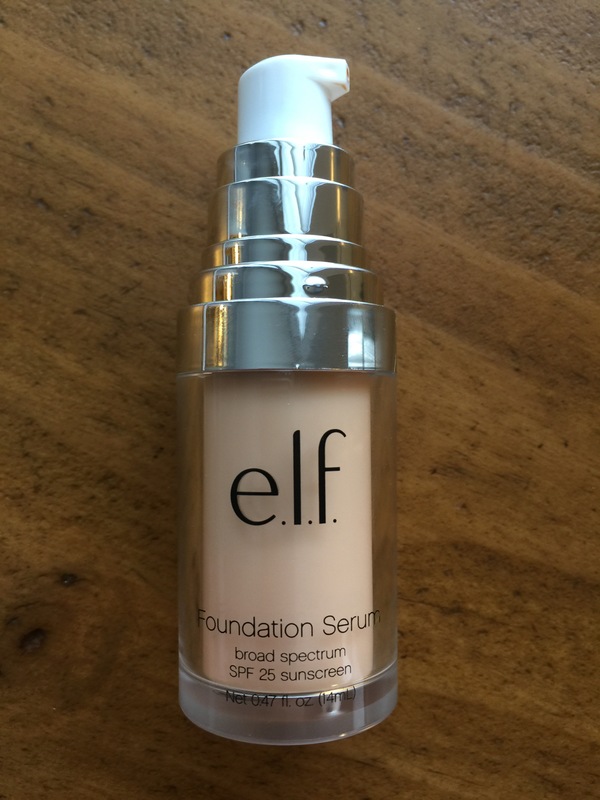 There are so many other good foundations out there, many by E.l.f., that I honestly don’t think this one is worth trying. If you are oily or acne-prone, try El.f.’s Acne Fighting Foundation. If you want a sheer finish, try a BB cream. I hear E.l.f. makes a good one, though I haven’t tried it yet (it’s on my list). It’s rare that I dislike a product. I can usually make anything work, and I actually enjoy trying! 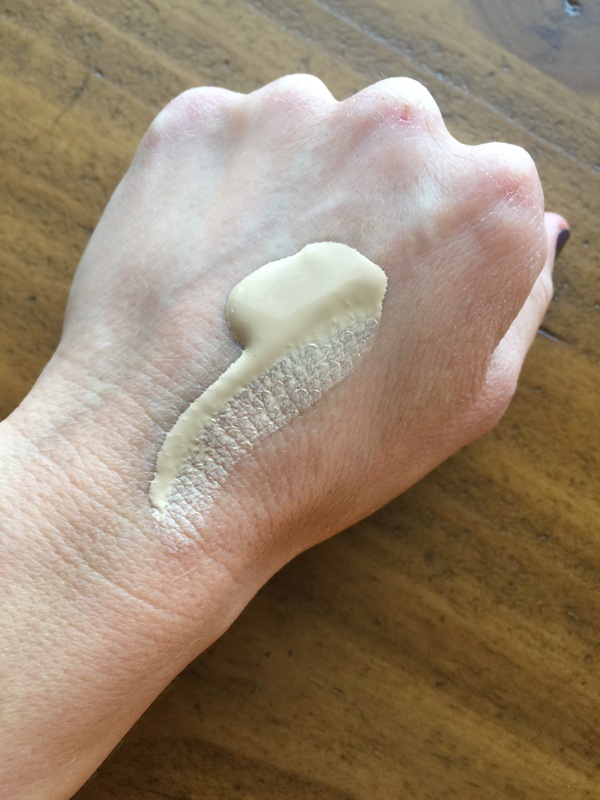 But this foundation just did not work, no matter how hard I tried, and quite frankly, for an effortless “beautifully bare” finish, I don’t think I should have to try that hard! I’d love to hear if you had different experiences with this product, and stop by again later in the week to hear about a great E.l.f. foundation!